It can be hard to think creatively, study, work on the computer, or just read at home when others in the household are watching TV or listening to music. Sometimes a neighbor kicking a soccer ball repeatedly can drive one batty. I solved this problem by buying a pair of Ultimate 10 Peltor earmuffs/headsets for about $20.00. 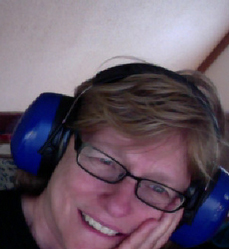 The Peltor 10s helped me block out the ambient household noise when I took four of the Google Educator exams. The other exam I took at school and the feet going back and forth beyond the closed door was distracting. I like my Peltors! This entry was posted in Google Educator, Web 2.0 and tagged Google Educator, Peltor. Bookmark the permalink.